Who Doesn't love Amelia Bedelia? I just love Amelia and was thrilled to see the newest picture book edition. Since Peggy Parish's passing, her nephew, Herman, has been writing Amelia Bedelia books. Amelia Bedelia's First Day of School is the newest of three new picture books where we get to see what Amelia was like as a kid! It's so funny and refreshing to see the same silly, literal Amelia that I remember! You'll laugh when you read all of the hilarious things that this little girl does in first grade! My favorite part was when Amelia's teacher tells her to stay glued to her seat...you can imagine what Amelia does! What a great way to get rid of those first day jitters and replace them with some giggles! Names! We spend so much time thinking of names as we prepare for our little ones to enter the world. We want to find names with meaning, ones that aren't too popular, but not too obscure. We want to find ones that are easy to pronounce, ones that don't make inappropriate initials. The list goes on and on! As a teacher and a parent, I make it my job to learn students names as soon as possible. It always makes people feel more comfortable and at ease when you call them by their name. Several people have cute little stories behind their names that make them even more special. I love reading Chrysanthemum, by Kevin Henkes on the first day of school. This book is about a little girl named Chrysanthemum. She loves her name, but gets teased once she enters school. She's really having a tough time until she finally goes to music class to find that her pregnant teacher's name is Delphinium and she plans on naming her new baby Chrysanthemum. Chrysanthemum's spirits blossom and she begins to love her name once again. This story gets conversation going about how everybody deserves to be respected, no matter how common or unique their name is. I just recently stumbled on a new book, available tomorrow, called My Name Is Elizabeth! , by Annika Dunklee. This book is a perfect couple to Chrysanthemum, as it touches on the use of nicknames...or not! So often, we abbreviate names and come up with nicknames that WE think are cute. This Elizabeth wants to be called Elizabeth. Not Lizzy or Liz or Betsy! The two-color picture book portrays a little girl who continually sticks up for her name and her independence. I can't think of a better way to start out the year, discussing the uniqueness of all of us, through our beautifully given names!! Everybody deserves a little NAME respect! Lesson Plans/Activities: If your reading these books at home, have a discussion about how important it is to call people by their proper name. Teasing someone about their name is hurtful and disrespectful. It's okay to think that a name is unique. It's not okay to think that they are weird or ugly. If your child has a unique name and is struggling at school, they can sure learn a thing or two from these powerful little characters! After reading these books, go around the circle and have students say what their name is, as well as any nicknames they prefer. That way, students and teachers learn correct nicknames and pronunciation right off the bat. Have students design their names on big poster board. I used to write their names in open block letters and then let them color pictures or designs in them that told a little story about them..their interests, their family, friends, hobbies. I then hung them right on the wall. It was our first step towards ownership of our new classroom! As a teacher and mother of two, I am always trying to convey the importance of kindness. We talk about being helpful, following the "golden rule" and friendliness. But do our kids really get it? With bullying in schools spiraling out of control, I'm sure this lesson is being missed by many. In her book, Have You Filled a Bucket Today? , Carol McCloud talks about kindness in a bit of a metaphor that is easy for kids to understand and relate to. Everybody has an invisible bucket on top of their head. We can fill our buckets by doing kind deeds, saying nice words and helping others. We can also become a "bucket dipper" when we use hurtful language or disrespect people. 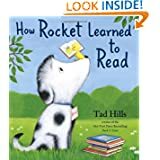 McCloud does an excellent job of bringing this complicated message down to a child's comprehension level and also stresses the idea that by filling other's buckets, we fill our own. I recently read this book to my two little girls and now they talk about filling buckets when they speak kindly. They get it! We so often read these books to children about what NOT to do. Now we can stop bullying with positive encouragement that reaches even the tiniest of minds! Fill a bucket in your classroom or your home with kind words or compliments. Have the children write compliments about others or have them write down things that people did for them to make them feel good. Offer surprises when your bucket is filled. Children can express positive feelings and also become aware of how small deeds make big differences. Have individual buckets for your children and fill them with pom poms each time you catch some bucket filling actions. When their buckets are full, offer them a sticker to place on the outside of the bucket. Watch those stickers pile up! Draw a picture of a bucket and have your child draw pictures inside of the bucket that represent the very things that fill a bucket. Share your pictures! Go to the "bucketfillers shop" at www.bucketfillers101.com. There are lots of cool posters and products relating to bucket filling for your home and classroom. There are also a number of books related to McCloud's book. I can't wait to check some of these books out! With school right around the corner, I am finding myself trying to squeeze in all of those last minute summer activities that I want the girls to experience. We've been to the beach, we've been to the water parks and we've been on long bike rides. But what's better than a lemonade stand on these dog days of summer? We were inspired by the book, Pinkalicious and the Pink Drink, by Victoria Kann. Everybody loves Pinkalicious and this book is no exception. Pinkalicious decides to have a lemonade stand to help pay for some gumballs. She makes some lemonade with the help of her mother, but of course, needs to make it PINK! She ends up adding all sorts of non-traditional items that make her drink look great, but quickly finds that it doesn't taste so refreshing. Her mommy finds a way to make things better. Kylie decided that she too wanted her own lemonade stand. We invited a friend over and got to work. We tried adding strawberries to our lemonade to make it pink. Our lemonade didn't turn colors, but it did taste pretty good!! We made $4.25 in no time flat! We figured out how to attract customers with bubbles and prepare for the next "rush." We then split our profits into thirds and left 50 cents to the owner for the cost of the lemonade! We learned so many math concepts without even realizing it! Everything is ALWAYS better with a book! I'm not sure where this blogging road will take me, or how I will organize my thoughts and ideas about children's books just yet. 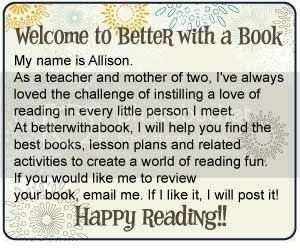 However, I do know that I would love for teachers and parents alike to utilize this site to uncover the magic of a book and make all events in life just a little bit BETTER!